Cycling is a physically demanding sport. Most cyclists fight and compete for trophies. 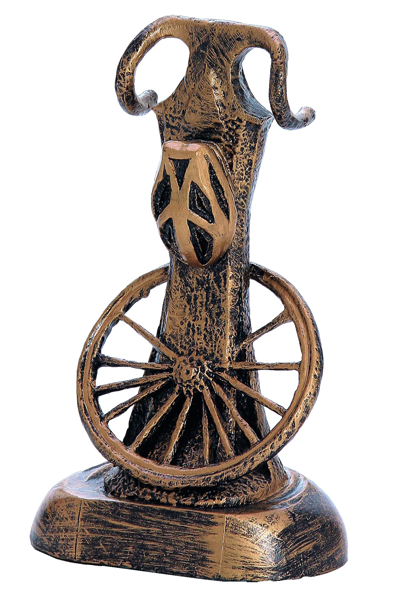 This is a very interesting, somewhat abstract resin statuette, showing a biker's helmet hanging below and the wheel at the base. It can also be a unique advertising gimmick or gift.